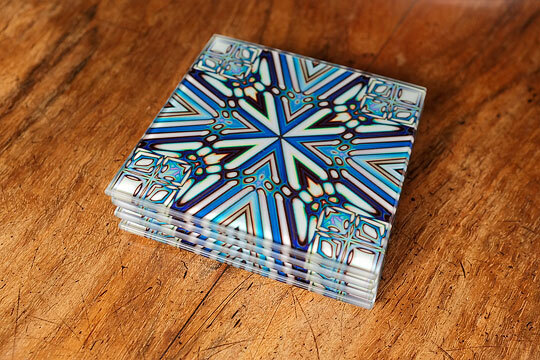 I found some nice, smooth topped glass coasters to print on. They take the designs very well, and because the image is under the glass they are very robust. 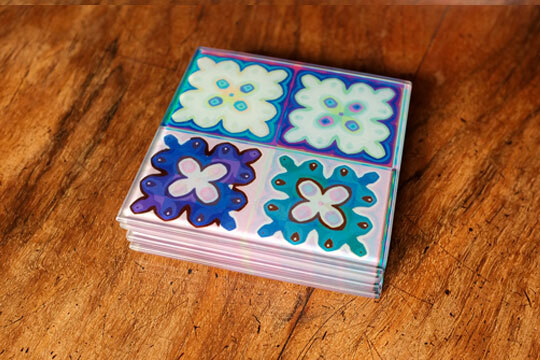 They are 100mm x 100mm, which is just under 4″, with small plastic ‘feet’ to raise them from the table or whatever surface they are placed on. 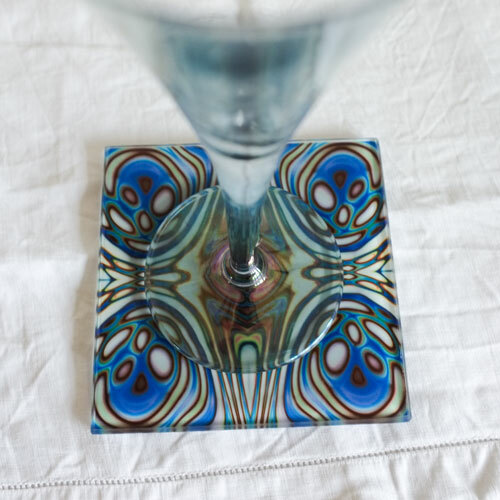 I have been experimenting with offering my tiles in specially made tile frames. I was concerned that they may look incongruous, as if they were aiming above their humble station in life, but they look really great, like fine art prints on ceramic. Which in fact, is what they are. Putting them in frames serves to underline and reinforce that contention. They look right in frames. I took them in to a local gallery, on the back of my wife’s visit to drop off a couple of paintings, and waved them at the good people there. They loved them, and have taken my small stock of ten single and two triple framed tiles for an exhibition called ‘A Splash of Colour’ which starts on Feb 8th and runs for 6 weeks. So, although I take no credit for it, my timing turned out to be pretty nifty. I will post some photos here when my new lot of frames arrive. I didn’t have time to photograph any of them before I rushed them over to The Haddenham Gallery and Craft Centre to get them there in time for the show.